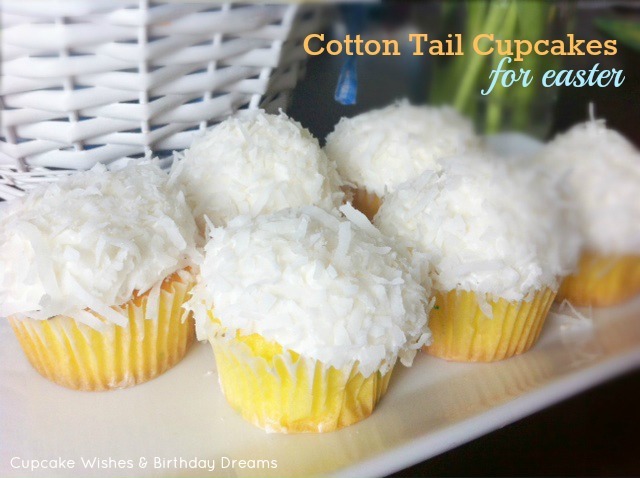 I am currently finishing up my Easter printables shoot but wanted to show you how I made these easy 'Cotton Tail' cupcakes that I'm using for the shoot. 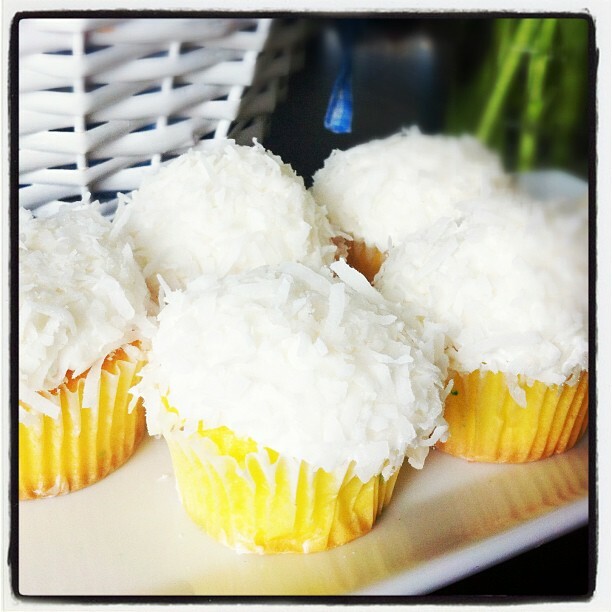 I've been very busy lately and didn't have time to make cupcakes from scratch (gasp). I used store brought cupcakes for the shoot. They originally had chocolate frosting on them with rainbow sprinkles and that was not going to work for the theme. Here's a trick I learned.....freeze the cupcakes, the frosting will harden and then carefully remove the frozen frosting from the cupcake. 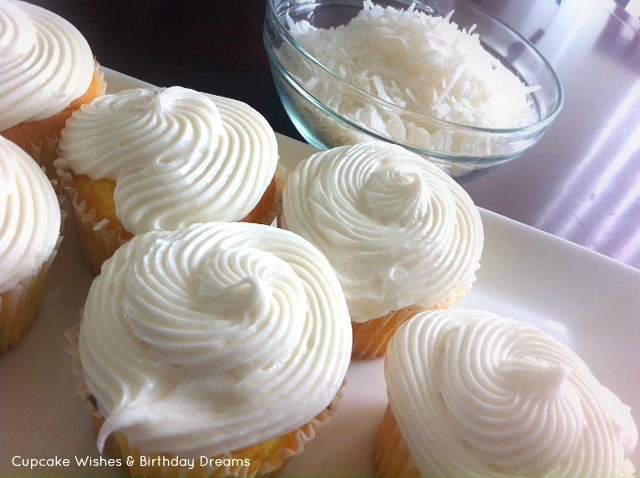 Then, you can top the cupcakes with your favorite frosting (I use this Buttercream recipe for my frosting). Voila! Don't they look like little bunny cotton tails???? I can't wait to share with you the printable collection I designed for this Easter -- it'll make you so HOP-py! 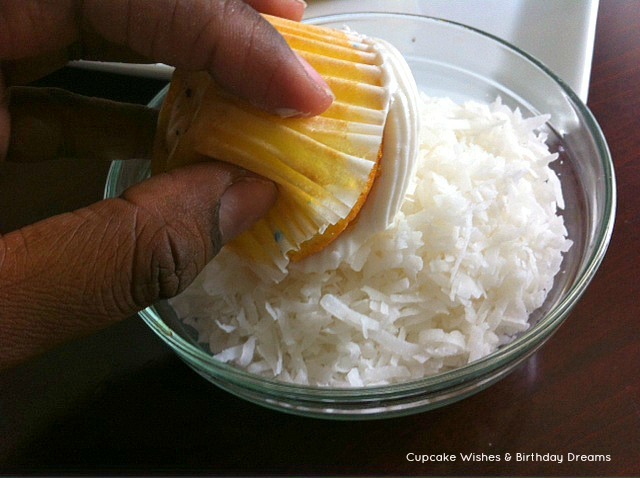 Good tip for removing the frosting, and looking forward to the rest of the shoot. 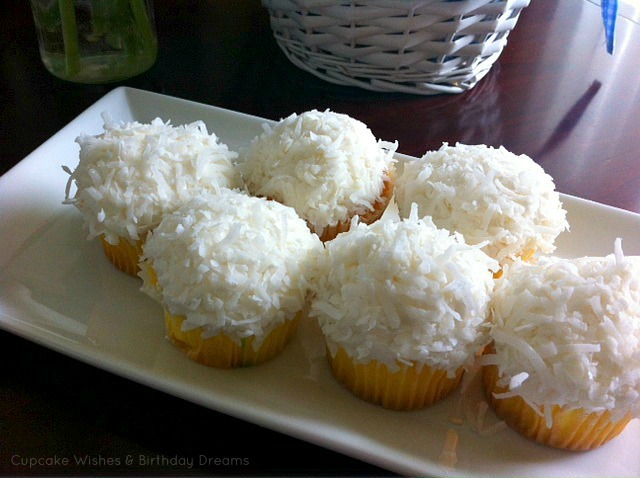 They look scrumptious coconut is my favorite :) And thank you for the helpful tip on how to remove frosting.